This entry was posted in Uncategorized and tagged holidays, mantra. Bookmark the permalink. I worked hard at accepting a faith that wasn’t mine. I worked hard at letting go a childhood trauma around the Christmas holiday. There are so many triggers that can come with this time of year, it makes my heart lighter to read your leaning in and owning the way you are, and the way you feel at this season. Sorrow – it’s a trigger filled season for so many. Ugh. My heart was feeling a little raw and achy when I wrote this…thank you for letting me know yours is feeling lighter. Funny enough, mine is too. I would much rather see a tree like this than the fancy, perfect ones. This tree has something they can’t have and that’s heart. And that’s what this time of year should be about. I have a really hard time with holidays and generally just try to ignore them (I’m alone, so I don’t have others to consider when it comes to this). I hope your holidays are peaceful and gentle for you this year. Your ability to cope with your emotions is something I so admire and respect about you. I hope to be able to do it as well someday. Love to you and big hugs. Love love love the star! This year I’ve given myself a ‘year off’. No pine tree, no traditional decorations. 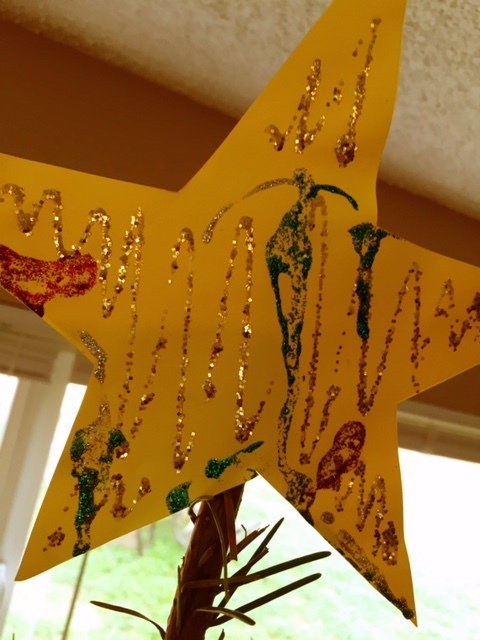 The past years have been so heavy with emotions, that all seem to be culminating in decorating The Christmas Tree…. and for the first time I allowed myself to say ‘stop’. I’ve bought a big bottle of green paint and the boys and I will be painting a huge tree on our windows. Still a tree, but in a different shape and without having to open those boxes from the storage room. I can’t wait for our fingers to get messy! Love to all of you too. Alana, I saw one of those beautiful trees yesterday. I was startled to see it was decorated by the man who manages the building where I work. It seemed so effortless. I seriously wanted to ask him to come do my tree. What would he think when he saw all the ornament boxes? Like Sorrow, I love the way you embraced your inner designer and, as they say in Frozen, let it go! P.S. Is it okay to share this post on my blog? And yes – thank you for asking – I’d be honored if you shared this on your blog. 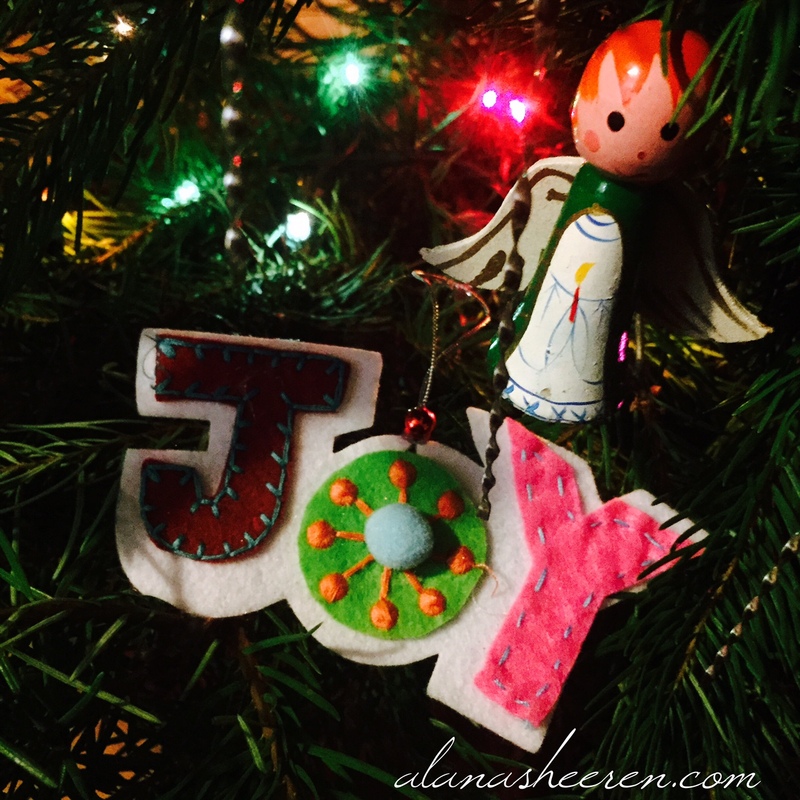 Sending you love as you hang those many ornaments!